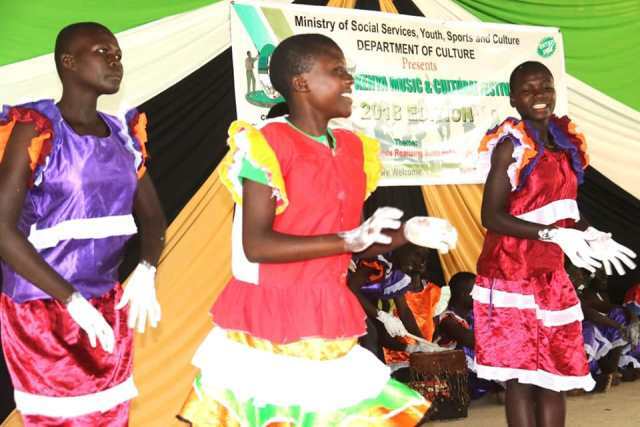 It was all pomp and colour at this year’s auditions of the national music and cultural festival, Kakamega county chapter, as youths from across the county showcased massive talent and skills to catch the eyes of selectors at Mumias Cultural centre in Mumias Central ward of Mumias West sub county. The two day event organised by the county government of Kakamega seeks to select the best performers in the field of performing arts from each sub county to represent the county in the national competitions of the Kenya Music & Cultural Festival to be held in Meru county from 23rd-29th November 2018. The purpose of these competitions aside from spotting and nurturing talent is to bring together all communities in Kenya to foster cohesion, peace and reconciliation and also promote cultural diversity for sustainable development. Kakamega County, the defending champion, has won the overall trophy four years in a row. In H.E. Governor Wycliffe Ambetsa Oparanya’s speech read by County Secretary Madam Jacinta Aluoch Odhiambo, the Governor called on youths across the county to diversify income generating activities urging them to engage in sports and other extra-curricula activities. Governor Oparanya said the county government has developed structures and set a platform to encourage diversification of income generating activities in the county amongst the youths, women and elderly. On her part, the County Secretary called on the participants who will be selected to carry the flag of the county high and emulate the record set by the previous contestants. The event was attended by Chief Officer Phitalis Masakhwe of Social Services, Youths, Culture and Sports, Members of the County Assembly, ward administrators and elders from Kakamega County led by their chairman Mr. Josephat Sakwa among other guests.